What are the best steps you can take after miscarriage to help your body recover and to prepare for your next pregnancy? There are many supportive steps you can take that will help you cope with the miscarriage you just experienced, or may be currently experiencing. The most important thing to remember is that miscarriages are common and are never your fault, unless of course, you are taking street drugs. Usually, they happen because something wasn’t right with the baby, the uterus implantation site, or hormones. These steps will help to increase your chances of a successful pregnancy the next time around. I will share with you ways to heal your body physically and emotionally after miscarriage. Most women are eager to begin trying to conceive again after miscarriage. Women write us daily wondering what they can do right away to help move the miscarriage along and to get-back-in-the-trying-to-conceive-saddle. This five-step guide will help you to learn important steps to get your body ready for your next pregnancy. We have 5 easy steps for you to aid in your recovery. Steps 1, 4 & 5 are fine to begin right away, before your first period begins. Please read on to learn when Steps 2 & 3 can be started. One of the single best things you can do for yourself after miscarriage is to nourish your body with healthy foods. The body will be going through a lot of changes physically, the mind may feel overwhelmed and exhausted and you may be an emotional wreck. Nourishing your body with simple, quick whole foods is vital. Because you may lose more blood than usual, you will want to increase your intake of iron rich foods as well. Think of foods rich in vitamins and minerals; foods that will help support energy levels and body function. Soups, smoothies and stews come to mind. These foods are easy to digest and can be easy to prepare. Plus they are usually filled with a variety of nourishing whole foods. Don’t be afraid to ask for help if you need it. Perhaps your partner can cook for the first week, or you can ask a family member or close friend to bring you a meal, or come over and help prepare a meal. Eat iron rich foods such as bison, chicken, eggs, lean red meat, chicken or turkey, Atlantic wild salmon, pumpkin and sunflower seeds, beans, nettles, raspberry leaf, seaweed, dark leafy greens, beets, lima beans, Brussels sprouts and broccoli, Turkish apricots (unsulphured) and quinoa. Any genitourinary blood loss can increase a woman’s need for iron. Although blood loss during a miscarriage is often like a “heavy period”, any change in iron stores lead to iron deficiency or anemia. Should there be retained placenta or an incomplete miscarriage, bleeding may be more. Experts at the University of California San Francisco remind us that it’s important to consume iron-rich foods to ensure that a healthy iron level in the body is maintained. Don’t forget to consume them with foods rich in vitamin C to ensure healthy iron absorption. Make nourishing soups! Soup is easy for the body to digest and warms the body. Consider adding some astragalus root while your soup is cooking. A variety of greens and other vegetables will help you to get nutrients your body needs at this time. Avoid canned soups. Consider trying to make the soup first thing in the morning in your slow cooker. That way when evening comes, your dinner is ready! Try this recipe from our 21 Day Fertility Diet Challenge eBook! Drink a Fertility Smoothie Daily! Fertility Smoothies are definitely one of our favorites here! They help you to get a ton of nutrition in a simple way. Toss all the ingredients in a blender and voila you have a ton of vitamins, minerals, antioxidants and fiber. Plus, you can add supportive fertility superfoods which help support hormonal balance in the body. We like maca and royal jelly. Enjoy this delicious smoothie recipe, a personal favorite of mine! Continue your prenatal vitamin. If you were not taking one, begin now. This will help you to get all necessary nutrients you need daily. This will continue to help your recovery and prepare your body for when you do become pregnant again. Be sure your prenatal vitamin is whole food or food based when possible. This ensures your body is assimilating the nutrients properly. Once your period comes back it is fine to begin a Fertility Cleanse. Fertility Cleansing creates a “clean slate” within the body. The specific herbs help to “reset” hormonal balance through liver supporting herbs and specific herbs for the female reproductive system. 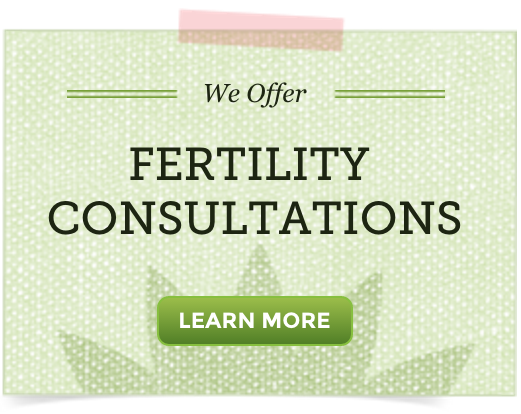 Fertility Cleansing focuses on liver health and uterine health. Cleansing specifically for fertility is very supportive and encouraging for fertility and the reproductive system. While there are many great cleanses out there, focusing on doing a cleanse specific for fertility is going to be the safest, gentle and most supportive while you are preparing for pregnancy. Fertility Massage has many benefits for women recovering from miscarriage. Massage may also assist healing from emotional trauma, helping a woman who has suffered a pregnancy loss and physical pain to her reproductive system. It does this by teaching you how to connect with your reproductive system once again. It is giving you a time to take part in your healing process. When doing your massage session, take time to pray, visualize, or bless that area of your body. Directly physically connecting to your fertility is very important when working toward healing. Listen to your body. It has wisdom beyond belief. There are two options for massage when it comes to supporting the reproductive system. You can find a massage therapist who specializes in abdominal or fertility massage such as a Maya Abdominal Massage Therapist, or you can learn how to apply Self Fertility Massage™ at home. Self-Fertility Massage at home is fine to begin once bleeding, including spotting, has stopped entirely. The time when this happens will be different for each woman. You do not have to wait until your menstrual cycle returns, just remember to not perform the massage during bleeding times. There are specific herbs that when combined together may support healthy miscarriage recovery. How long until I can begin these herbs after miscarriage? The following herbs may be considered for use right away, even while you are still bleeding. This combination of herbs is best begun right away, as close to the miscarriage as possible. Be sure that you know for sure you are having a miscarriage before beginning them. promote emotional wellbeing, curb heavy bleeding, and promote hormonal balance to help get your cycle back on track. Angelica root (Angelica archangelica): Angelica is an excellent warming herb that increases circulation, dispels cold from the reproductive organs, while supporting the nervous system, promoting relaxation, peaceful thoughts, and reducing anxiety. It is a uterine antispasmodic, supports general weakness and stimulates immune system function. This herb is specific for digestion support, which as discussed in step 1 is vital for miscarriage recovery. All of these actions support vital miscarriage recovery with well-rounded body system stimulation. Black Cohosh root (Actaea racemosa): Black cohosh is anti-inflammatory and helps to relax the uterus, which reduces uterine pain and spasm in both the smooth muscles. This herb promotes healthy blood flow to the pelvic area, which may be helpful in moving the miscarriage along. For post-miscarriage recovery, Black cohosh also helps to tone the pelvic floor muscles, through stimulation of mild pelvic floor muscle contraction. As shared by Yale trained MD, midwife and herbalist Aviva Romm in her 2009 thesis, Black cohosh (often in combination with other herbs) has been used for hundreds of years by trained herbalists and midwives to help promote calm, regular uterine contractions. Uterine contractions are important to help prevent retention of pregnancy product post miscarriage, and get the uterus back to its pre-pregnancy state. This herb may help promote regulation of the menstrual cycle, aiding the body in getting the cycle back on track post-miscarriage. St. John’s wort flower, upper aerial parts (Hypericum perforatum): St. John’s wort may help to reduce nervous excitement and anxiety. It is a mild sedative that helps to relieve mild depression; aids the body in “lifting the spirit”. and also supports prevention of infection and is anti-inflammatory. Yarrow leaf/flower (Achillea millefolium): Yarrow promotes circulation, yet is extremely astringent, stopping excessive blood flow. It is an herb of opposites, it promotes sweating and detoxification, but strengthens and tightens tissues. This is excellent for miscarriage recovery. It will help to get the reproductive organs and surrounding tissues ready for your next pregnancy. Yarrow relieves inflammation and congestion of the uterus, which aids in pain reduction. Yarrow is one of the best herbs to curb heavy bleeding. It may help to move the miscarriage along, so you can get back to tending to your life. Vitex also known as Chaste Tree Berry (Vitex agnus-castus): Vitex has a regulating effect on the hormonal feedback loop, mainly the pituitary gland. This kind of support may help to get your hormones back on track to regulating the menstrual cycle once again. These herbs are best used for up to six weeks after miscarriage has occurred. Miscarriage brings up a lot of emotions: anger, fear, guilt, sadness and worry. What did I do wrong? Is my body capable? Why did this happen? What can I do to prevent another miscarriage from happening? All of these thoughts racing through your mind can be very stressful. Managing that stress is an essential part of your recovery, especially for your heart. Allow yourself time to heal the pain and longing your mind, body and soul are experiencing. Be selfish, take the time you need to nurture yourself. Make time to reduce stress and promote overall well-being. We are more than our physical bodies, treating yourself holistically is going to greatly improve your chances of healing, so you can move toward a successful, healthy pregnancy. Thank you for this article. I appreciate the advice and the warm sentiment. I have a great support network, but after this, I just wanted to be alone. I guess I just needed this time to reset and read your articles and be reminded that this miscarriage is not the end. It’s just sad, we wanted this so bad, and have been trying for a year and a half, and it is his birthday today, today being the day after we experienced this loss. We had gotten so excited, we told everybody early, in part to garner some support because I work in a job that is too physically demanding for a pregnant woman. I was supposed to move back into the office this week, but it was a week too late. I am so sorry Christine! I hope you are resting, finding support and hope through your family and friends, and guides such as this one. Do take care! how can i clean my system of an cycotec over dosed ??? I’m sorry to hear this happened. Do you mean Cytotec and was it use to help you as a result of miscarriage? Have you discussed the possible implications with your doctor? It’s going to first be best to learn this and how to discontinue the medication if you haven’t already. If the medication has been stopped, there are no other health concerns, and a miscarriage is complete (if that is what you expereinced), it may help to learn about Natural Therapies to Help Your Body Detox. We also have a guide you may appreciate, 5 Steps To Decreasing the Chance of Recurrent Miscarriages. I am so sorry! I wish I could fix it all for you! Do you have support or anyone you can talk to? Are you able to get out for a short walk in the fresh air, take a warm bath, sip some herbal tea? Be gentle with yourself right now! I had miscarriage last Friday. My partner is not here and I am alone. We are talking through the internet, but still I am feeling very alone. It was my second pregnancy- the first one ended up with abortion due to the situation I was in and the second one failed. I am not welling to ask my partner to come here since he did not take the initiation him self. He said he may consider to come. Since my miscarriage I am grieving every day and did not take care of my body and diet until I saw your talk on YouTube. I could not find black Cohosh, st. john´s wort and vitex here in Iceland as it is not allowed. Are there any other herbs which can replace them and could be available here? I am so sorry for your loss and that you feel alone. Can you reach out to a trusted friend or family member for a listening ear? Be sure to check in with your doctor and to share of your emotions. This is important so that you receive the care you need. Focus on a whole food, healthy nourishing diet, rest, and definitely the stress-reduction tips/techniques. I’m not certain about herbs available to you in Iceland. Do you have healthfood stores or pharmacies that carry vitamins and supplements? Perhaps talking with someone at either place will lead you to answers. Be gentle with yourself right now! Be well! I am 41 and have three other children, in November 2016 I fell pregnant with our fourth baby and we were so happy but it was short lived. In 10th I started to bleed and on 24th January 2017 they doctors carry out ERPC. One week later, I received a call to come an get my blood and their told me I had a partial molar pregnancy. Only have my husband to talk to as my family are very reliable, feeling very lonely and unreal as if this happen to someone else and not me. It is a month today and I very so sad at the lost of our baby but waiting on blood result every week. It has been the worst time of my life praying for a miracle. I am very sorry for your loss! You are not alone! Your emotions are so real, honor that. Continue to talk to your husband, let your doctor know the emotions you feel, allow yourself to grieve. There is no right or wrong way, or exact length of time it takes to heal emotionally. Maybe Honoring Miscarriage Through Ritual is something that would be helpful. It may also help to learn all you can about what a partial molar pregnancy is, causes and how to prevent them if possible if you wish to try to conceive again. Do not blame yourself! The loss was not your fault! Are your cycles after the miscarriage 28 days apart? Will you describe for me your past few cycles? We offer this guide, 5 Steps To Decreasing the Chance of Recurrent Miscarriages, that will offer helpful tips that we feel are important to learn about. I’ve just had a chemical pregnancy. my doctor has given me progesterone injection to kick start my period. I would like to know when can I start taking vitex , maca root and pregnacare prenatal vitamins, now or should i wait till i start to bleed? I am sorry to hear of your loss! Dalene has moved on from the company to further herb personal goals. I am here to offer support however. A prenatal vitamin can be started at anytime and while Vitex and Maca can generally be used with prescription progesterone, it may be best to check with your doctor. You may also appreciate the tips in our guide Chemical Pregnancy – Experiencing Very Early Miscarriage. Thank you for this, its a very helpful piece. I liked how the information in this article is laid out and there are a lot of useful ideas for recovery after miscarriage. I feel you should strongly suggest that people meet with a herbalist or naturopath before taking any of the recommended herbs listed here. I went to a pharmacy, discussed my situation with a pharmacist and took the Black Cohosh root in the dose recommended on the bottle. Within a day I was in Emergency with debilitating cramps. I could hardly stand up and walk. I quickly figured out the culprit but could have saved myself a lot of pain and cost to the health service. You shouldn’t advise taking herbs without expert advice. First off, I am sorry for your loss. Thank you for sharing your experience, though I am sorry to hear of the pain and suffering you endured. I do hope you are feeling better now. Should anyone have questions or concerns about this, while reading the article, or any time afterward we have several ways a person can contact us – live chat, phone, and email. We have a team of herbalists on staff, here for support. Your particular situation sounds unique and uncommon, though it doesn’t mean it wasn’t very real for you. 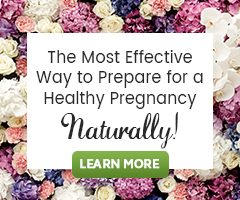 There is information lacking as to what point post-miscarriage or during miscarriage you used the Black Cohosh, what brand of the product you used, what the dose was, was the cramping digestive or uterine, etc., that may play into the experience you had. The information in the article is intended as that, information on what could be done and what herbs we find are helpful when combined for miscarriage recovery. What a person chooses to do with that information is up to them. We do make our team available to all for further, expert herbal guidance. I am truly sorry for what you went through and I would suggest also reaching out to the manufacturer of the Black Cohosh product you chose to purchase. Contact us anytime should you like further guidance. I feel good and comfort after reading these page because i also had miscarriaged. Thank you.